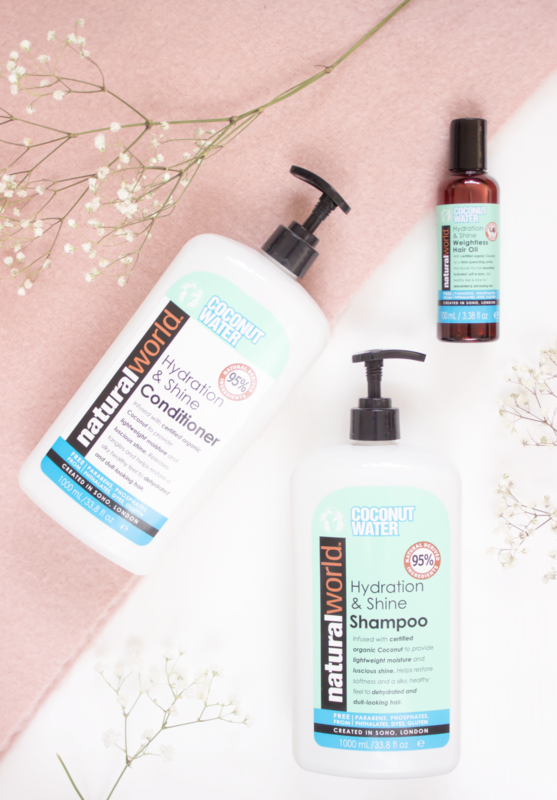 The Natural World Haircare* range had been spotted in my local Tesco store a few months ago, however, it wasn’t until recently that I was able to give it a try. It immediately caught my eye on the shelves amongst all of the other products for two reasons, firstly the style of the packaging was quite bold and very modern, whereas the second reason was purely down to the size of the bottles; they are huge! The brand was created in London and sources ingredients from across the world to create luxury hair care without the hefty price tag. 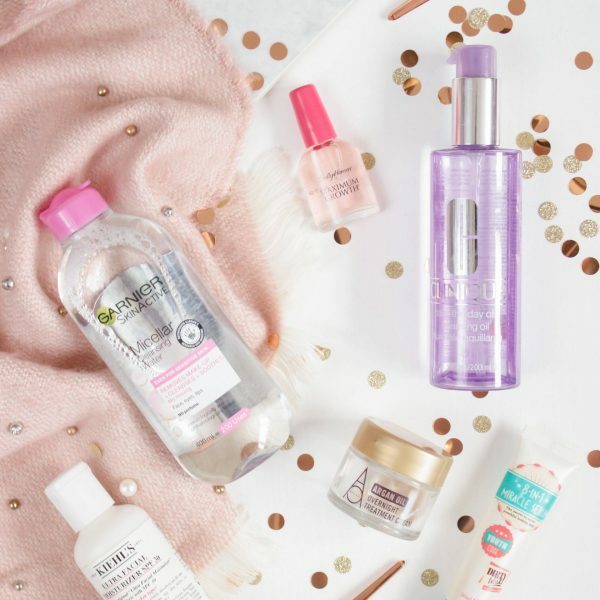 There are a variety of different products to suit different hair needs, so there should be a range to suit your hair type. For instance, the Charcoal and Mint shampoo and conditioner is a basic all around shampoo which will suit all hair types, whereas the Paw Paw and Quinoa shampoo and conditioner are more tailored towards coloured treated hair. I have being trying out the Coconut Water range which is ideal for dehydrated and dull looking hair. Now I will be honest, my hair isn’t exactly dull looking, although it can be when it comes to needing my roots doing. However, it can feel quite dehydrated at times mainly because I have it colour treated and use heat products on it quite regularly. Each range of shampoos and conditioners come in 500ml or a hefty 1L, which I have to say is pretty humongous! The Coconut Water Shampoo* is derived from 95% natural ingredients and contains certified organic Coconut extract combined with a blend of four essential oils consisting of Rosemary, Lemongrass, Ylang Ylang and Orange. I have being using this on and off now for a good few weeks and have been really pleasantly surprised with how much I like this. It leaves my hair feeling really clean and hydrated, it does exactly what it claims to do. It doesn’t weigh down my hair or irritate my skin in anyway, it is just a good all round shampoo which I seem to be able to use regularly without my hair becoming greasy. I often find that if I use the same shampoo for a while that my hair seems to get used to it and that it no longer seems as effective as it once was, however, so far I have not had that experience with this. The Coconut Water Conditioner* is the same as the shampoo in that it contains the certified organic coconut extract along with the four essential oils. I have to say that out of the two products, I do prefer the shampoo over the conditioner as I found that the conditioner was not as hydrating as I would have liked. I think that overall the issue that I have found with this is that it isn’t as smooth or as thick as I would usually like and look for within the conditioners that I buy. When I rinse it from my hair I am not left with that super soft feeling which I normally associate with a conditioner. It was OK overall, however I probably wouldn’t pick this up for myself in the future, I would however definitely purchase the shampoo. 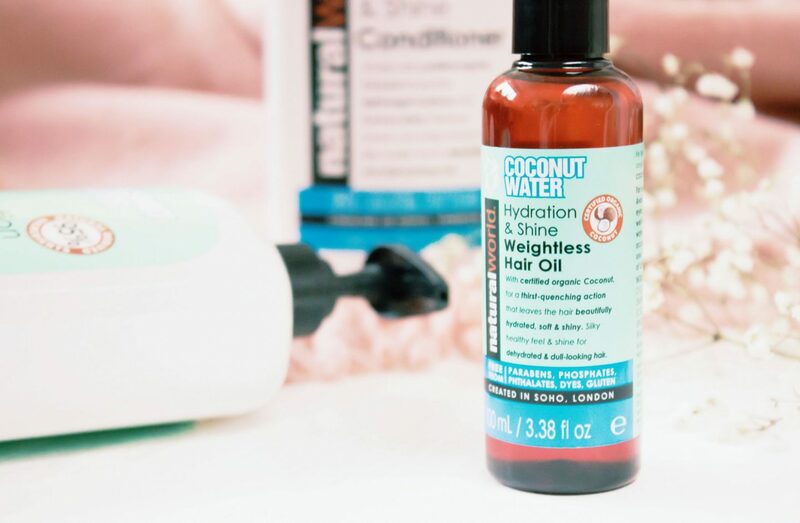 The Coconut Water Hair Treatment Oil* is the only product which I haven’t yet tried out out of the three. This is a oil treatment which you apply to damp hair after washing. Having used similar oils in the past and had good experiences I am looking forward to giving this a go as a little extra hydration and taming of the frizz is most welcome, especially now it is winter and we actually have snow in the UK, I can’t quite believe it. 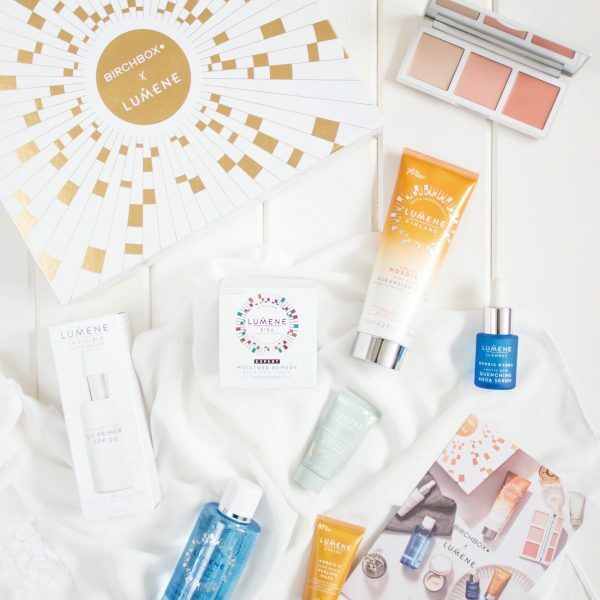 Have you tried any products from the Natural World range? All products can be found at larger Tesco stores and Tecos online.